File Blackwood under English rural gothic. Debut feature director Adam Wimpenny claims descent from a distinguished lineage: Don’t Look Now is cited as a key inspiration, and indeed, if you’ve seen the first ten minutes of Nic Roeg’s 1972 masterpiece, you’ll have an idea of the look and palette of this film. Autumn mists; hard rain on a pond; children running through dead leaves; a dark pastoral. 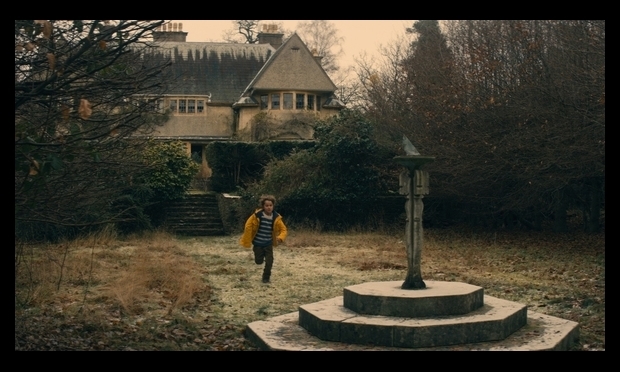 Like Don’t Look Now, Blackwood is an exploration of a fractured and fragmented family with a supernatural twist, although the set up owes more to Stephen King than to Daphne du Maurier. As in The Shining, a troubled man moves with his wife and young son to a place of rural isolation only to be tormented by terrifying sounds and visions which threaten to push him towards a complete psychological breakdown. The man in this case is Ben Marshall (Ed Stoppard), an academic who moonlights as a TV historian in the Dan Snow style. Recovering from a nervous breakdown, and determined to make a fresh start, he takes a job at a second-rate university and buys Blackwood, an oversized and impractical country pile surrounded by dense woodland. But any equilibrium is soon disturbed by some unwelcome intrusions: a disturbed army veteran (Russell Tovey) who hangs around the grounds, the surprise reappearance of Marshall’s louche shagger mate (Greg Wise) and, in between all this, spooky paintings, frazzled electrics, rattling doorknobs, glimpses of masked children and whimpering in the cellar. Marshall sets out to uncover the source of this spiritual turbulence, his suspicions focused on Tovey’s ex-soldier, whose wife and kids have mysteriously vanished, and the eccentric local priest (also ex-army and played effectively by Paul Kaye) who might be aiding and abetting Tovey’s murderous impulses. Of course this is not quite the case, and there’s a final-reel twist that offers a neat conclusion, even if intelligent moviegoers will see it coming before it plays out. As clever and pleasing as this narrative payoff is, it can’t compensate for Blackwood’s lack of originality or interest. It’s difficult to see who this film is for: genre fans will find it tame, derivative and lacking in wit, and its weak characterisation and clumsy dialogue don’t allow it to work as a sophisticated psychological thriller. It also lumbers under the burden of a very obviously B-list cast. Ed Stoppard is an unlikeable leading man, grouchy and abrasive, and while the filmmakers are clear that this is intentional, it doesn’t help to have no one to root for. He and Sophia Myles (as his wife Rachel) never convince as a believable family unit (again, that might be the point, but it makes it harder for us to care). 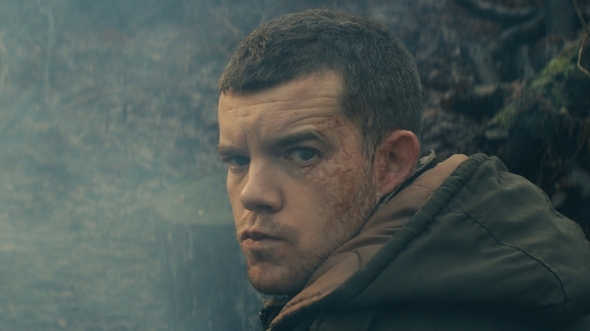 Russell Tovey is wasted in an underwritten part. Greg Wise’s turn as a boorish and cocky academic rival is faintly embarrassing and it’s only really Paul Kaye who emerges with any credit. There are occasional nods towards social satire, specifically the ambitions, anxieties and complacency of the middle classes. Marshall is as much weighed down and worried by the size of his mortgage and his professional come-down as he is by the sight of a bloody billhook. It’s a shame the script doesn’t run with this idea as I think the time is ripe for a Squeezed Middle horror film. Couldn’t someone have drowned in a vat of Farrow & Ball (French Grey) or had their hand mangled in a pasta machine? That would at least have been funny.